Over the years, I've had the pleasure of meeting Lisa Scottoline a few times, and believe me when I tell you that she is one of the nicest people you will ever come across in your life. She greets her fans not with handshakes but with hugs, and the word that comes most to mind when I think of her is "genuine." Her daughter, Francesca Serritella, is exactly the same way. 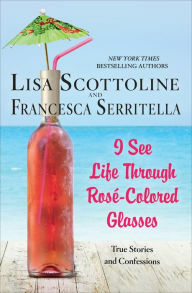 Lisa, of course, has written numerous mysteries, but the two of them have also come together to develop a series of essay books, their newest being I See Life Through Rose'-Colored Glasses (that's the wine!). 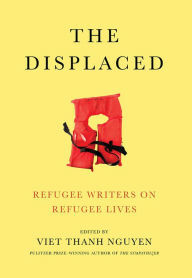 Whether it's Lisa's or Francesca's essay you're reading, I promise that you are in for a treat. From pets to exercise to dating, they write about life in such a way that every woman can relate to. Most essays are hilarious and witty, but every once in awhile they throw one in that's beautifully poignant. 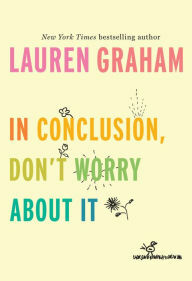 One warning -- I read this book on my Kindle while my husband was asleep next to me. If you value your marriage, you may not want to do that. I laughed out loud too many times to count. 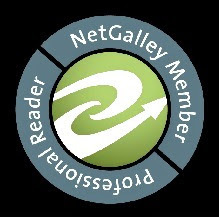 I've been running my blog for a long time, and over the years, I've written hundreds of reviews. I could probably count on two hands how many 5-star reviews I've given. The criteria for a 5 is simple: "Excellent. I would read it again in a heartbeat." I'm happy to report that T.M. 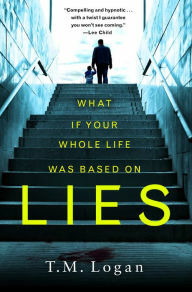 Logan's Lies is one of the award winners. I simply couldn't stop reading, and you probably won't be able to either. Once you think you guessed the twists correctly, the author is proud to show you that you didn't. Joe Lynch lives a simple, happy existence with his wife and young son. However, have you ever done one thing that seems innocent enough, but then things completely snowball? That's what happens to Joe when he sees his wife's car in a hotel parking lot and decides to stop. After that, nothing is ever the same. Logan certainly didn't pick his title out of thin air; it's called that for a reason, and it would do the reader a lot of good if he or she would remember that. Logan is an absolute master with cliffhangers, and every chapter ends with one. I'm purposely not going too deeply into the plot explanation because the layers are deep in Lies. This is a book you'll read long into the night, enjoying every single page while you try to guess where the author will take you next. Ruth Ware’s novels are incredible addictive. I consider myself a fairly slow reader, but I read The Woman in Cabin 10 very quickly. The Death of Mrs. Westaway is no different, and when it is released in May, it will most likely be Ware's latest bestseller. Hal has certainly not had the easiest life. Her mother was run down right in front of their house, and now Hal is all alone, trying to make ends meet by reading tarot cards. One day, she receives an intriguing letter, telling her that her grandmother (Harriet Westaway) has passed away and she will receive part of a large inheritance. Since Hal doesn’t have a grandmother, she believes that the letter was mistakenly sent. However, she knows that she will not be able to last much longer with no money. Hal is a good person; however, in desperation she tries to pull off a ruse, meeting Mrs. Westaway’s large family and attempting to get some money out of the deal. Thus begins a novel of deception and deep secrets, all culminating in a heart-stopping climax. Ware has often been called the modern day Agatha Christie. 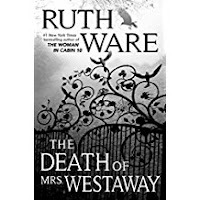 Just like her other novels, The Death of Mrs. Westaway drips with suspense, and it is very difficult to stop reading, even in the dead of night. 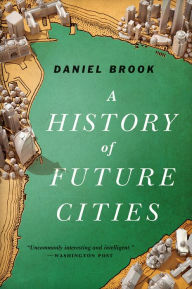 While not a new book (it was released in 2013), Daniel Brook's A History of Future Cities looked like a worthwhile read when I stumbled across it in a used bookstore. My thought was proven correct. If you're into history, geography, politics and/or economics, you should find Brook's study of four major global cities enlightening. It also shows the trends that tend to overlap most of these cities' histories. Shanghai, Mumbai, St. Petersburg, and Dubai are all "boom" global cities, fixed on a battle between cosmopolitan and national, west versus east, capitalist versus statist. Each city has its own unique tale, but those consistent battles weave through the history of each. Brook chronologically bounces between the cities beginning with the creation of St. Petersburg through the modern dramas taking shape, effectively sharing the common storylines but with unique tales from each community as the book progresses. For those curious about city evolution, A History of Future Cities is well researched and effective. It's a smart historical book that will help give you a sense of understanding the role of the West (and the tug of each nation's traditions) in creating these 21st Century metropolises. Meghan L. O'Sullivan's Windfall is an overview of modern politics from the perspective of energy. It discusses how the oil and gas boom that’s been driven by technological advancement in extraction of energy resources is shaping modern politics in America, Russia, China, Europe, and the Middle East. 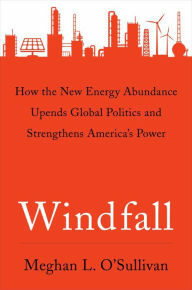 Windfall focuses on the relationship between energy and foreign policy and the success (or failure) of nations around the world through the ebb and flow of energy supply and revenues that come from it. Ten years before her book was written, scarcity in energy drove high energy prices. Those prices in turn made it possible for technological innovation to take hold and drive America, Canada, and a few other nations to utilize new techniques to bring new supplies of oil to the market. The subsequent drop in oil prices helped spur economic recovery in much of the West but drove many of the traditional oil-producing nations to make reforms or political hay in the name of maintaining relevance. O’Sullivan effectively argues the case of how much of the current global economic boom was brought about by technological innovation in oil and gas extraction, which lowered price and helped fuel growth. O’Sullivan tackles traditional energy sources like oil, gas, and coal with remarkable effect and argues future political and policy paths based on an oil and gas future. The lack of coverage in renewable energy beyond passing references throughout the book did provide me some pause given the likely increase in renewable energy production in the coming years. However, for a current sense of the political and economic landscape and the ramifications that oil and gas have had on it in recent decades, this book is a very knowledgeable and well-researched account of what is going on.